A waterproof heating pad, the Hound Warmer Deluxe is great for overnight stays at hotels, traveling on those cold fall/winter days and even doubles as a car seat heater. Select the temperature most suitable for the animal's requirements and environment. 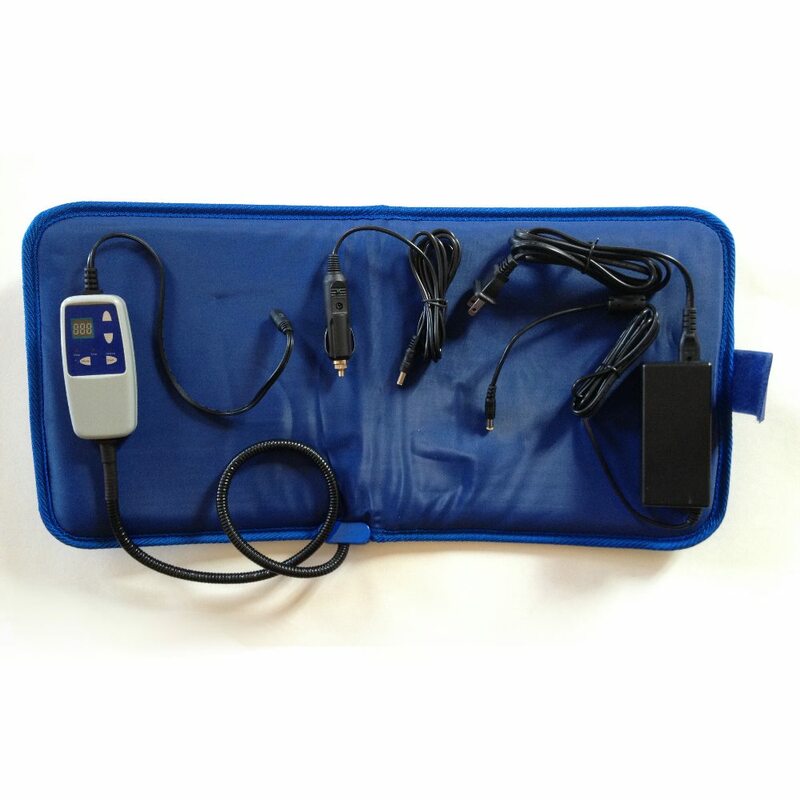 The Heating Pad can be used with the 12V power supply from a vehicle by plugging in the cigarette plug and then connecting the cable to the connector coming from the Controller. 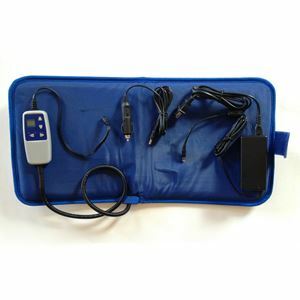 The Heat Pad can also be used where 110VAC power is available by plugging the 110V cable into the connector coming from the Controller and then plugging the cable into a 110VAC outlet (when using a 110VAC supply make sure the high voltage cable is not accessible for the dog to chew). It features a programmable thermostat where you can set the temperature and even set the timer to heat 1-12 hours! It also has a timer that will switch off the heat mat after the selected time has elapsed. After use wipe the Pad with a damp cloth and allow to dry. Do not submerse in water. Range of 95 -122 degrees F with default temp of 104 degrees F.
Dimensions: 22" x 11" x 0.5"